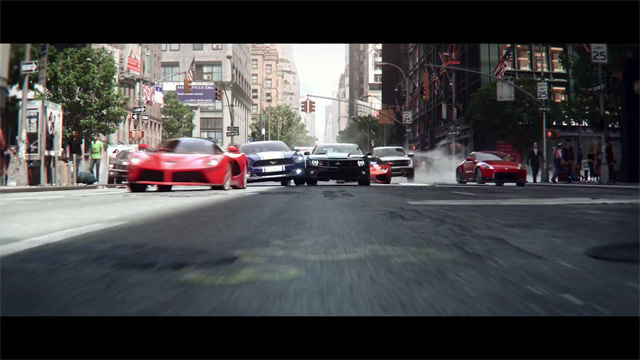 Despite some delays and other hurdles, Ubisoft’s new racer “The Crew” is almost here! One of the few “current gen” (AKA Xbox One & PlayStation 4) driving games available The Crew is pretty much as its title suggests: its all about joining and/or forming a crew and going on crazy missions with sports cars, supercars, and hyper cars alike. Think of it as if someone took all the heist missions in the Fast & Furious film franchise and made them into a video game sans Vin Diesel. If that sounds like a good time then you can pick up “The Crew” tomorrow (Dec. 2nd 2014) for Xbox One, PlaysStation 4 and PC. If you need more convincing check out the new launch trailer below. Also, below that you can watch a quick video of my impressions of “The Crew” after I played an early demo at E3 this year.